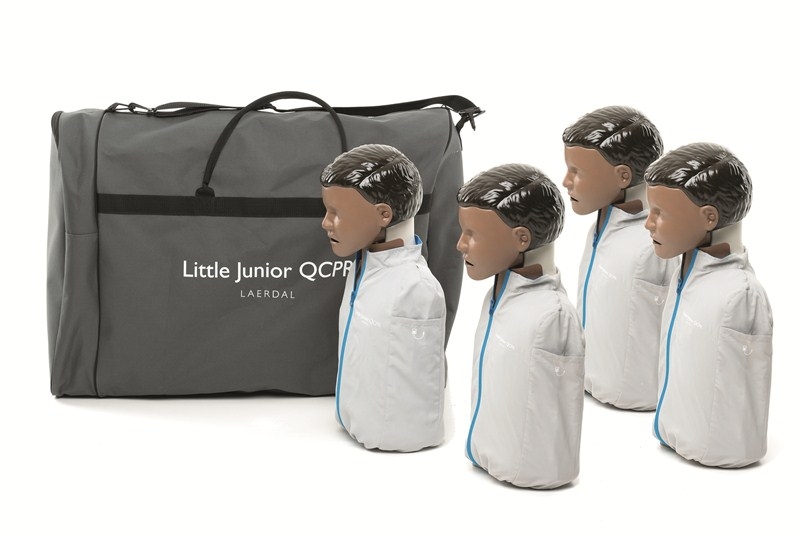 The Little Junior QCPR manikin meets your need for a low-cost, lifelike child CPR trainer. Our 4-pk package of four Little Junior manikins makes hands-on practice affordable for every student. Laerdal Little Junior Four Pack includes: 4 Manikins, Soft Pack, 8 Junior Faces, 8 Junior Airways, 24 Manikin Wipes, and Directions for Use.